Anyone interested in joining the supporters club are urged to email the same address. Umpires are required to support the No Excuses Netball Leagues which consists of 14 teams and takes place on a Sunday afternoon at the Clifton Campus of Nottingham Trent University. For further information about the roles and payment, see the advert. 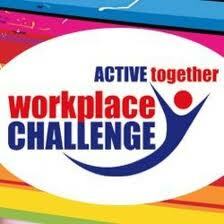 Remember a team effort will be needed to win the workplace prize categories so make sure all your colleagues are signed up and active from the 16th of January! Clare Drakeford (16) will be put through her paces by Olympic champion Jason Gardener along with 9 other selected girls from around the nation. The training camp for elite young athletes from across a range of sports is being held at Loughborough University this week (18th December). For the full story, go to the England Netball news page.